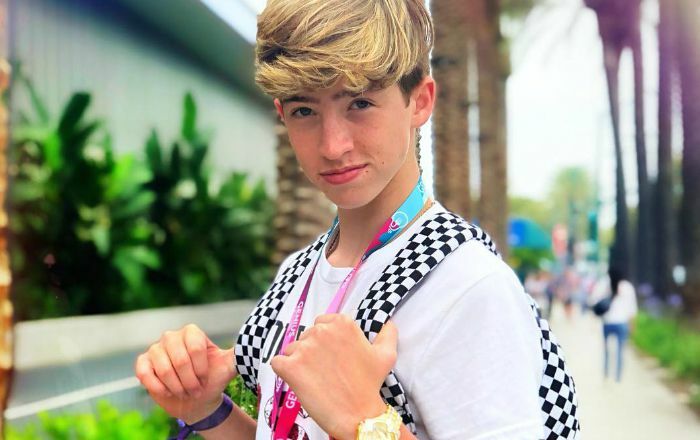 Cash Baker is an American social media influencer and TikTok star who gained fame for his fandubs and lip sync videos on TikTok, on which he has over 4 million fans. His official Instagram handle has more than 360k followers, to which he posts lifestyle and daily vlogs. In addition to vlogging, the spunky lad is a talented singer. Cash Baker was born on 5th March 2003, in the United States. He is currently 16 years old. There is no information available about his parents. However, he has two siblings and he is the youngest of the three children. His oldest sister is named Lani Lynn, who is also a social media star and model. She has worked with brands like Exit Peru, Neiman Marcus, and Caycee Black. His older brother, Maverick, is also a TikTok star and social media celebrity. He has over 4 million fans on the platform. Bake is still a high school grader. Cash Bakeris too young to get involved in a relationship. He currently focuses on shaping his online career and it seems that he is not ready for a relationship. 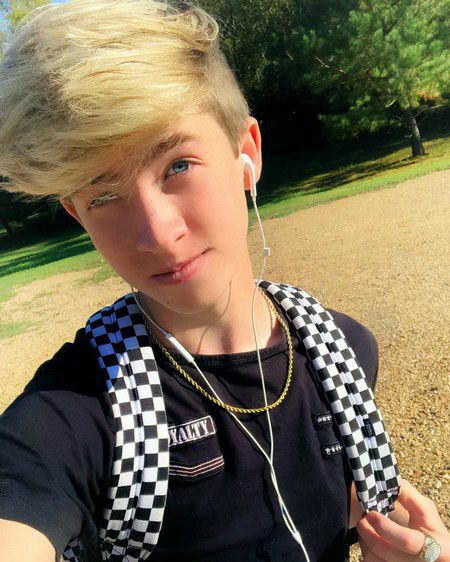 Cash Baker is well known for his short videos on TikTok and other social media platforms like YouTube and Instagram. His fans love him because he is a wizard in making his own version of the popular songs and clips. His videos on TikTok attract million of views effortlessly, thanks to his creative mind and striking personality. He has amassed a massive fan following on these apps. His Instagram handle counts at 360k followers while he has accumulated over 4 million fans on the short video uploading platform TikTok (formerly Musical.ly). Being an internet celebrity, Cash Baker makes a handsome amount of bucks by endorsing brands and products through his social media accounts. Though we don’t know the exact numbers, his net worth is estimated at $0.5 Million. He lives in Henryetta, Oklahoma. Cash is an athlete. He often showcases his athletic prowess on his videos. He is fascinated by sports. He enjoys skateboarding, swimming and cycling. He also likes snorkeling and diving. Cash has helped the fellow Instagram star Lukas Daley to gain popularity on the platform by promoting him through an Instagram post in June 2018. The Baker brothers have released their single titled “The Way You Move” on November 13, 2018 on iTunes. He and his older brother Maverick run a YouTube channel titled “Cash and Maverick’, which has over 175k subscribers. The Baker brothers’ channel only has one video, which is the lyric video of their single “The Way You Move”. It has received almost 1 million views in less than two weeks. Cash usually wears sporty clothes and torn jeans.